We have started Twilight and Glow Golf this season, and we are looking forward to getting some familiar faces back having a hit. Glow golf will be held monthly so check out the dates on the whiteboard. The safety grant for Lighting and Security is currently being implemented: security to Clubhouse and Workshop are currently being installed. There is a delay on the posts for the security lights which will now be installed around February 2017. 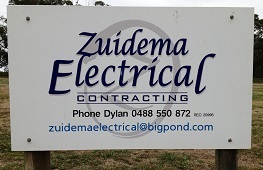 Thanks to Col Olden for acting as liaison with Zuidema Electricians and Gardiner Electronics. This will be a great advantage to the Club. Sincere thanks to our local Police for their support. 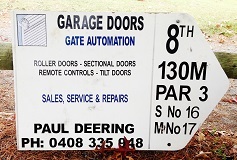 Key boxes are installed on the outside post – those members needing access can call Bill Pratt for code and instructions. This further adds to our security and decreases the need for multiple keys. All eighteen holes are now open and the boys are doing a great job to get the course looking as good as it does, which in this weather is remarkable. Hopefully in the next month the water tank will be in place at the bottom of the 11th hole. 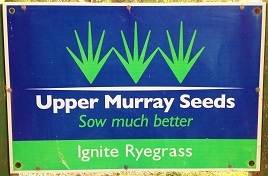 This will be a great asset to the course WHEN the dry weather is upon us. Congrats to all involved in this major project, especially Bill Pratt. Big thanks must go out to Sue Hoskin for her great work in the Sip and Swing beginner’s lessons. We have already gained members from this activity and some great people who just learnt some basic golfing tips from both Trevor and Darren. Once again, thank you Sue and all your helpers. If there is anyone who can spare some time either on weekends, week days or Friday nights helping around the course or working inside behind the bar or in the kitchen please let Bill or myself know. A roster is on the whiteboard. We all need to work together and everyone’s help is very much appreciated. Everything is going well with Truckie and his mower guys back on track. Machinery maintenance is at a minimal with Col undertaking most of this himself. Paul Robbo is managing the chemicals and their application around the course. All greens and fairways will be treated for weeds in next few weeks. There has been a clean-up between 9th and 17th fairways: this will enable airflow to the 17th and improve it’s year-round playability. Sucker roots are to be cleared and a stump in the carpark. An excavator will be used for this. A load of gravel has been organised to upgrade the pathway between the 15th to 16th holes. Work will also be undertaken to clean up Tease’s triangle which Will Bullock will assist the Club to undertake. The Club will purchase a spray wheel which will fit onto the spray unit we have and use with blue tractor. This will enable us to complete spraying in a more time efficient manner. As Paul has mentioned the tank installation at the end of the 11th will be delayed 2-3 weeks so ground can dry more on McKnight’s land. They will assist with placement. Once in position, Col will connect. The Club has acquired two additional mowers which puts the Club in good shape. Thanks to those members who generously donated towards their acquisition. Myself and Paul plus the volunteer ‘rakers’, have thatched the greens and all must agree they are looking great. The leaf broom attachment for the tractor is currently being repaired which will make the task of picking up leaves and small sticks much easier and less time consuming. Thanks to Dot who has been on course weeding. 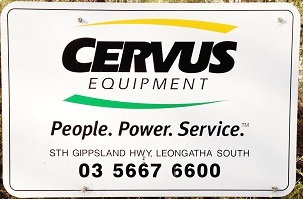 The Club is waiting patiently for the outcome of the application to South Gippsland Shire to renovate fairways and purchase a travelling irrigator. We should hear shortly so fingers crossed. As mentioned previously – work has commenced to install the security systems in the Clubhouse and Workshop as part of the Department of Justice security and safety grant. Thanks Col. The Club also heard recently that we have been successful in our application to Department of Health for a Defibrillator machine. The Club expects this to be in the Club before Xmas. 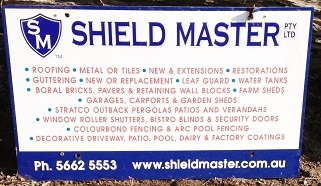 A sign will be erected at the front gate to advise everyone and passing motorists that there is this facility available in the Clubhouse. Ad VanVeen is continuing to update the website. He can place any flyers on the website so please forward to Pam Erving or Marilyn McGeary and this can be done. Suggestions for additions/improvements are always welcome. Please let us know what you want. The season has started well with small fields to date. The Club welcomes our new chef Karen Wynne who will commence 2 December. A roster has been placed on the board for kitchen work and bar, and it’s pleasing to see names appearing. Cards are available from the bar. Menu for the first three weeks will be a mixed grill with various options to suit all. The nightly winner will receive a frozen chook. Thanks to Bill, Ned, Faye Pratt and Marilyn for getting week 1 off to a good start, followed up with Jan Trease and Heather McCaughan and Paul during week 2. Feedback was very positive and the grilled meal options enjoyed by all. Karen will help with future menu planning so come along and enjoy a friendly evening together. The Club AGM must be held within 5 months of the end of financial year which is September 30. The General Committee has set Wednesday 7th December 2016 for this meeting, 7.30 pm in the Clubhouse. Information regarding the procedure for the AGM, nomination and proxy forms will be posted to all members shortly. Golf lessons will be available for members on 1st December. 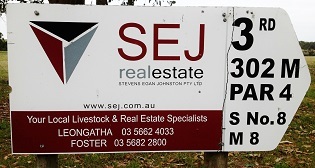 Please contact Sue Hoskins on 0429 932 467 to book a place. A trailer load of unsplit wood is available for purchase from the Club. Cost is $40/6×4 trailer load. 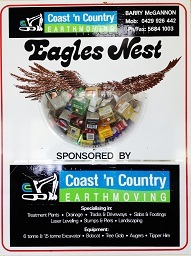 Please contact Paul, Col or Bill if you would like some and they can direct you to the appropriate place to collect it. Camp draft: Bill Pratt has been hard at work organising cattle and volunteers for the camp draft which will take place on 25th-27th Volunteers are needed for this function that the Club organises with Stony Creek Football and Netball Club. There are still several places available so please if you can spend even an hour or two, put your name up on the white board. 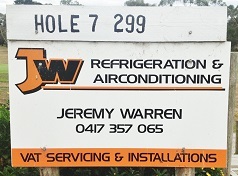 Tarwin Men’s Shed opportunity: Unfortunately, there were insufficient people available to help with the food preparation request so the Men’s Shed needed to seek support from other places. 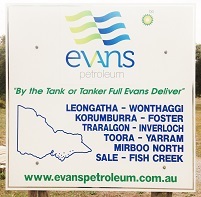 There is still an option to help with the clean-up and the notice is still on the whiteboard. Thank you to those members who did put their name down to help. Australia Day activity: The Gold Record Show which is an event of Fabulous Touring, will be held at Meeniyan Golf club on Australia Day 2017. David McMillan from London will be performing the hits of icons Bob Dylan, Rod Stewart, Van Morrison and Cat Stevens. There will be 2 hours of Classic Gold Hits. BBQ lunch from 12 noon, and the show starts at 1.30 pm. Drinks will be available at bar prices. Tickets will be available from the Club and other outlets to be announced shortly around Meeniyan. Members should keep the date free as this promises to be a fantastic afternoon of entertainment. Tickets will be $10 each. No BYO. Bill Pratt is the liaison for this event, and a flyer that has been developed which will be around town in the next week. New Year’s Eve Bash: This is on again with the same family friendly format. Information will be out early in December. 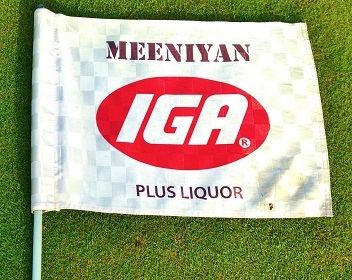 Meeniyan Hotel is a new sponsor with a board placed at the front of the Clubhouse. 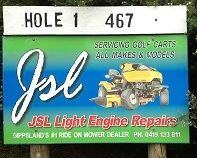 Also, South Gippsland Homes have purchased advertising space which will be placed at the front entrance to the Course. 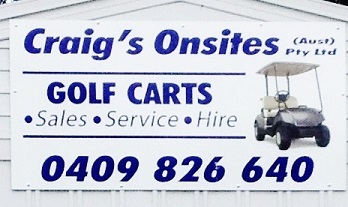 Local MP Danny O’Brian has agreed to sponsor improved signage at the Clubhouse which will be in place shortly. With the weather improving the Club expects the number of green fee players will increase. To date Bill Pratt and Pam Erving have mainly been present at the Club to assist green fee players and do the necessary cleaning that needs to be done to keep our Club presentable. As a Club, we need now to share this responsibility and a roster for Sunday is currently on the whiteboard. Members are urged to please consider giving a half day or day to help. A new till has been purchased is being programmed and should be operative shortly. This will give the Club a breakdown of income across the board. Drinkers of light beer please note that the Club has had to increase the price to $4 as cost is equivalent to heavy beer. Members are asked to take some responsibility for organising lunch orders and their preparation on comp days. There is a good supply of ingredients rolls, pies, sausage rolls and dim sims in the freezer and cool room. Please let Nereda or Bill know if there is anything you need or leave a note if you run out of something. A box and voting slips will be on the bar by 27th November for members to nominate persons for the Best Club person 2016. A brief indication why you are nominating this member should be included on your nomination. The successful person will be awarded at the AGM. Santa has been engaged and it’s on again – December 16th. Lolly bags and ice creams available for the children. Santa will make an appearance between 7.30 – 8.00 pm. Members are reminded to please contact Pam Erving or Marilyn McGeary if you update your contact details, especially emails. If any member knows how the Club can contact Glenn Thomas please let Pam know. Thanks all and happy golfing.